Businesses are required to follow regulations and etiquette in order to keep their customers safe. 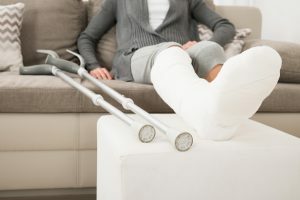 There are circumstances where an injury or accident may occur while a customer is visiting the business and is entitled to compensation for said injury. A few key factors have to fall into place to have a valid case. Most businesses should be prepared for any personal injury accusations as it is part of owning a business. Businesses have insurance that should be in place to compensate medical needs for anyone that sustained an injury in their establishment. It is when the business fails to provide a properly safe environment for its customers based on negligence that leads to an injury when they get in trouble. A common scenario is a slip and fall for instance. There Is protocol to follow in order to keep customers safe from slipping and falling. Some of us Floridians felt a sigh of relief in November when medical marijuana passed in our state. Others may not feel as comfortable with the new law. As marijuana has become a more widely accepted and at least acknowledged practice across the country, in both recreational and medical forms, this means legislature is having to change its shape and therefore we as citizens should be aware of those changes. Marijuana laws in Florida remain strict regarding the recreational use, so don't get to confused about what you are able to do without the chance of repercussion. 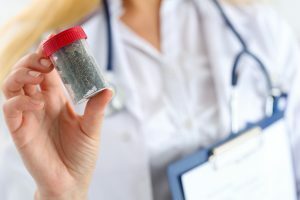 There are some simple yet important things to know about medical marijuana in Florida and how it affects you. 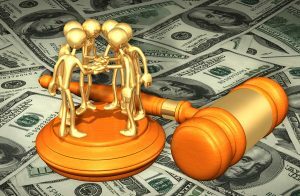 What Is A Class Action Lawsuit And How Do I Get Involved? Class action is a word we hear thrown around a lot, not only in the presence of legal counsel but we hear and read it in the media all the time. So what is a class action lawsuit and why is it different than other lawsuits? I have a problem with a company or product should I look into class action? All valid and possibly confusing questions an attorney can help answer for you. 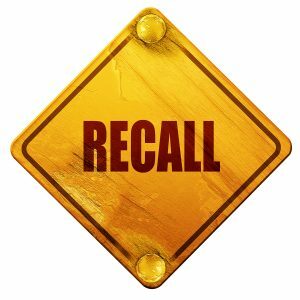 The American based kitchen appliance company Cuisinart has issued a recall for 8 million food processors of almost two dozen models. Production of these food processors spans over years, starting in July of 1996 and ending in December of 2015. Obviously this is quite a few models and can get confusing when trying to determine if this specific recall affects you. 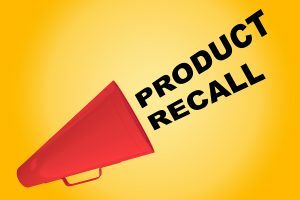 Specifically, the recall was issued because of concerns and report of breaking blades of the food processors that were all manufactured in China. A recall of this size does pose some legal concerns for both the company and the consumer. We do not live in a perfect world. It frequently feels like it is as far from perfect as it can get. That does not mean that you do not deserve justice when you are being discriminated against. Discrimination lawsuits can get sticky for everyone but that doesn't mean they should be taken on with strength in southwest Florida. Florida walks in the shadows of its current reputation when it comes to discrimination. If you are being discriminated against in a business, workplace, government facility or educational institution we hope you find some peace knowing there are people willing to help you and fight for you. 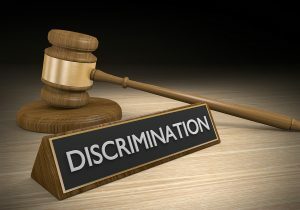 What Is A Discrimination Lawsuit? A discrimination lawsuit comes out a scenario where the treatment and often times decision making regarding a person is based on a group, class or other way of categorizing a person. These effects could be in favor of or in opposition to the party at hand. We see and hear of many of these cases coming in the workplace based on an employer's discriminatory actions toward employees. It's the scariest thing we hear about on the roadway. Something that is out of your control because someone else decided to get behind the wheel when they were intoxicated and that could destroy your life in a flash. 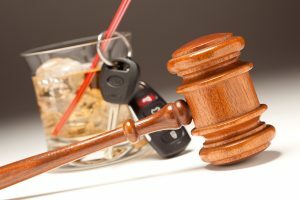 If you have been injured by a drunk driver there needs to be legal justice for you and your family. It is more than just covering your medical bills and car damages, an experience like this can change you forever. According to the CDC Florida does carry a higher rate of death by age than the national average. As vigilant as we Floridians can be there is still little we can do if someone decides to make this mistake and gets behind the wheel. There are steps that you can and should be taking if this happens to you or a loved one. Melting snow, unusual rain patterns following months of drought, bad luck, there are many reasons you can find yourself underwater after a flood environment. Many times these unfortunate circumstances are created from uncontrollable inconveniences. It is hard to anticipate and prepare for severe weather or other natural disasters. 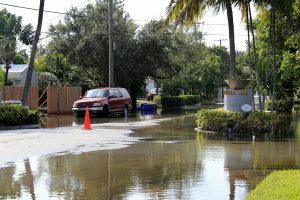 Florida is right in the danger zone for hurricanes and that severe weather pattern tends to leave a trail of devastation, almost always including flooding. There are some steps to take to guarantee your home will be restored and there will be compensation for you and your family if possible. If you haven't heard of the myriad of Takata airbag recalls over the past few years, consider yourself one of the lucky ones. Or maybe the unlucky ones since the recall has it millions of different affected vehicles and yours could be one of them. It is important to keep informed about all recalls if possible and we keep this updated for you, knowing that recalls stem from safety hazards. The safety of you and your family is not only your concern, it is our concern. Take some time to read below on the status of you vehicle, what's new with the recall and how to know if you need help. What's New With The Takata Airbag Recalls? When most people think of Florida, they picture it as a relaxing vacation spot that the whole family can enjoy. However, there are plenty of workers doing what they can to make our beautiful state an amazing place to be for tourists and residents alike. Unfortunately, accidents can happen on job. Thankfully, workers’ compensation is there to help you get the compensation you need when mistakes occur. In Florida, most employers are responsible for providing workers’ compensation for their employees. Essentially, workers’ compensation works as a type of wage replacement. 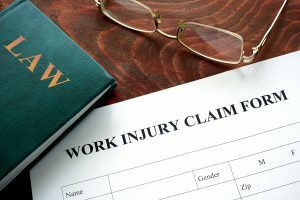 How much compensation you are entitled to receive will depend on how much your ability to work is impacted by your workplace injury. For Floridian employees, you are not required to prove that your employer was at fault—only that your injury occurred while you had been working. The majority of accidental injuries and occupational diseases that happen over the course and scope of employment are covered. However, workers’ compensation may not cover any mental harm unless they occurred as a result of a physical injury. When purchasing food, you would expect that it is safe for you to consume and enjoy. Food products are often subjected to strict inspections before the manufacturer can even release it for public sale. However, this can’t always prevent a food-borne illness from occurring. If you get sick from something in the food you have purchased, you have the right to file a personal injury lawsuit to receive the financial compensation you are entitled to. However, proving that a food product caused your illness isn’t as easy as you may think. 1. Prove that you got sick as a direct result of the food product! If you have fallen ill after eating, the first thing you may suspect is food poisoning. While that seems like a logical explanation, it isn’t enough to prove it or file a lawsuit. To have a strong case, you will need to prove that something within the food is what made you sick in the first place. If you immediately seek medical help for your illness, a physician may be able to find the connection between the food and your poor condition and document this connection. 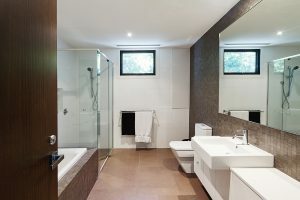 Most slip and fall accidents that occur in the home, happen in the bathroom. With so many slick, hard surfaces combined with the moisture can make for some dangerous conditions. However, with a few preventative measures, you can drastically lower you and your family risk of slipping and falling in the bathroom. Believe it or not, these slippery floor coverings are the most common cause of a household slip and fall. If you cannot bare to part with your bathroom rug, try to secure them using double faced tape, tacks, or slip resistant backings. It should come as no surprise that the tub is the most ‘slippery’ part of the bathroom, especially when you are taking a bath or shower. Put in some nonslip strips, tiles or mats in your tub or shower to give yourself the extra grip you need to prevent falls. Additionally, you will want to secure any loose corners on mats. 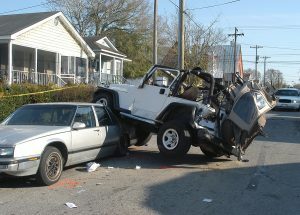 As the owner of your car, you may find yourself at fault even when you weren’t the one driving. This is known as vicarious liability. In other words, as the owner of the car, you are responsible for any wrongdoing of another person while they are driving your vehicle. With this in mind, you might want to think twice about letting someone borrow your car. When the owner is aware the car is defective, but allows another driver to use the vehicle regardless. When the owner is aware that the driver is reckless or unlicensed, but allows them to drive anyway. When an employer requires an employee to use a car for a business reason. Visual distractions happen when the driver’s eyes are diverted away from the road in order to compete or pay attention to another task, such as checking on children sitting in the backseat. Manual distractions are those that require the driver to take their hands off of the wheel, such as typing information into a GPS or texting. Cognitive distractions are what take the driver’s mind and focus away from driving, such as listening to music or talking to someone else in the vehicle. Determining who was negligent and how that negligence directly caused an injury or damage is important in any personal injury case. However, being able to receive financial compensation for your injuries takes more than just proving that the other person was negligent in their actions or inaction. It is about whether your injuries were a foreseeable consequence of their negligence. 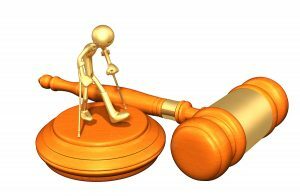 In personal injury law, foreseeability is a key concept. More specifically, foreseeability is a crucial element of causation. 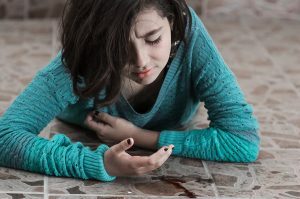 In order for you to win your personal injury lawsuit, a plaintiff will need to prove that the defendant was negligent and that this negligence is what directly caused or worsened the plaintiff’s injuries. 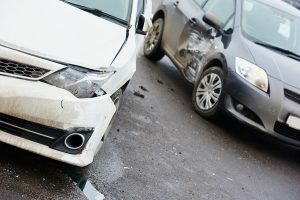 To put it another way, the defendant cannot be held liable for negligence unless it played a role in the plaintiff’s injury.